Transformers are one of the favorite kids toys, Hasbro knows well how to engage our kids and give them opportunities to play interesting games. Transformers’ abilities take children minds and you can notice how excited they are to follow robots heroes’ adventures in Transformers series. The recent Shout! Factory DVD takes us through time and space to make sure the Earth is safe and protected. Enormous robots can do incredible things, but also be funny and friendly. 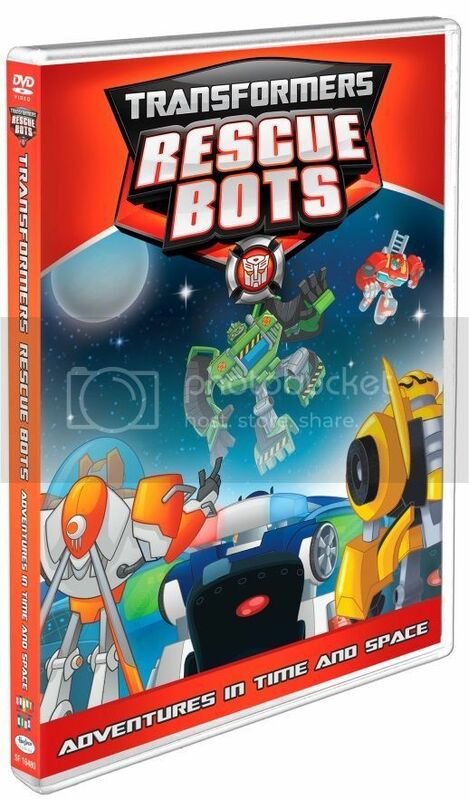 In new Transformers: Rescue Bots - Adventures in Time and Space DVD we join Autobots: Chase, Heatwave, Blades and Boulder as they travel back to 1939 along with their human friends Cody and Frankie and meet evil Doctor Morocco. Then Cody learns that there are vampires in space, how Chase and Boulder are back to space to complete their rescue mission. Next episode, Time After Time, mostly reminds Groundhog Day as Cody wakes up to the same morning over and over again. There is also some personality switching between huge and tiny in Switcheroo. 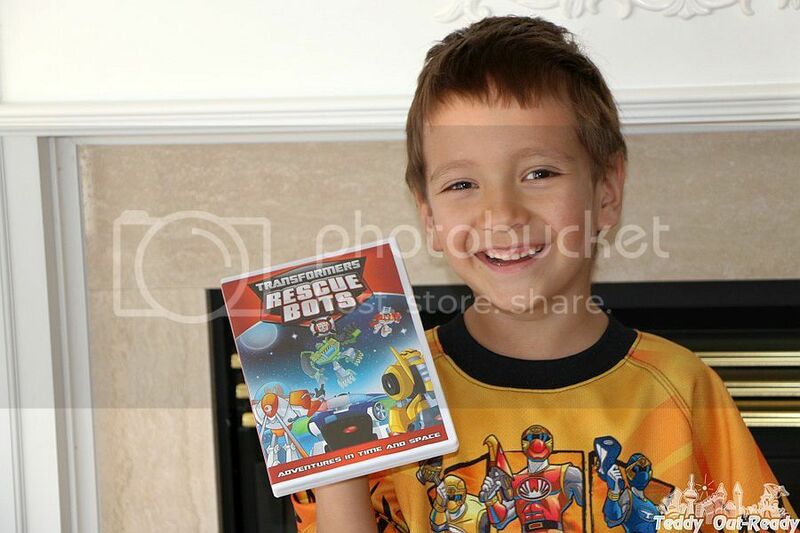 Teddy liked watching the episodes plus he has the Rescue Bots and other tech creations. The series were interesting for our preschooler as they have various science items like gravity, vortex, magnetic field and other ones. Teddy was curious and asked a lot what they are all about. Honestly speaking, I am having a hard time to remember all the Autobots and their special skills, but Teddy knows them all. I like how Transformers: Rescue Bots - Adventures in Time and Space captivating and funny at the same time. Teddy already asked to get more transformers for his collection. For Transformers fans we are happy to give away a copy of Transformers: Rescue Bots - Adventures in Time and Space on DVD thanks to Shout! Factory. The giveaway is open to US and Canadian residents and ends April 8, 2016. My son and nephew loves the Transformers. They would like this. My son's favorite robot is Frankie. Chase, Boulder and Blades are my step grandson favourites..
My sons favourite Rescue Bots episode is the one with Bunblebees first visit when Blades was nervous! Bumblebee is is his fave Transformer so he was excited to see him on Rescue Bots!! I know my grandson has the Bumblebee Transformer and talks about Heatwave and Blades so I am not sure which is his favourite robot. My son loves Boulder and Chase.